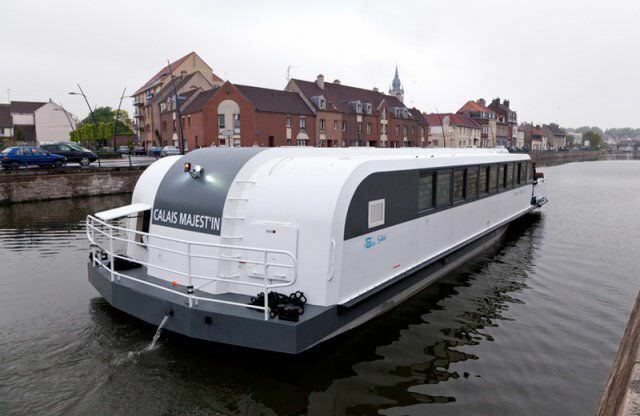 This new ship is a waterways passenger shuttle boat built for the city of Calais, France. The trip will take about 35 minutes to cover the four kilometres and serve the four scheduled stopovers. 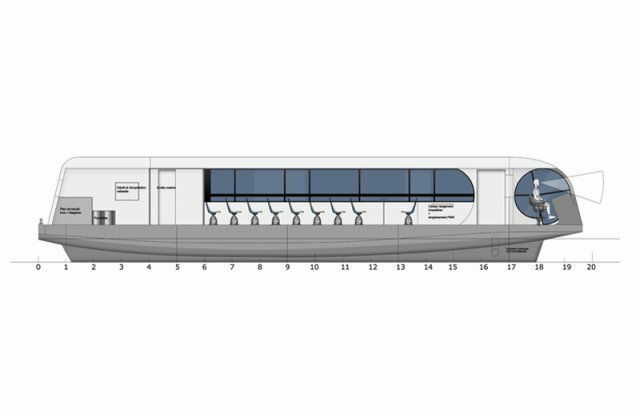 This 20-metre inland waterways vessel will have the capacity to carry 70 passengers in the transport version and 44 guests in the restaurant version. 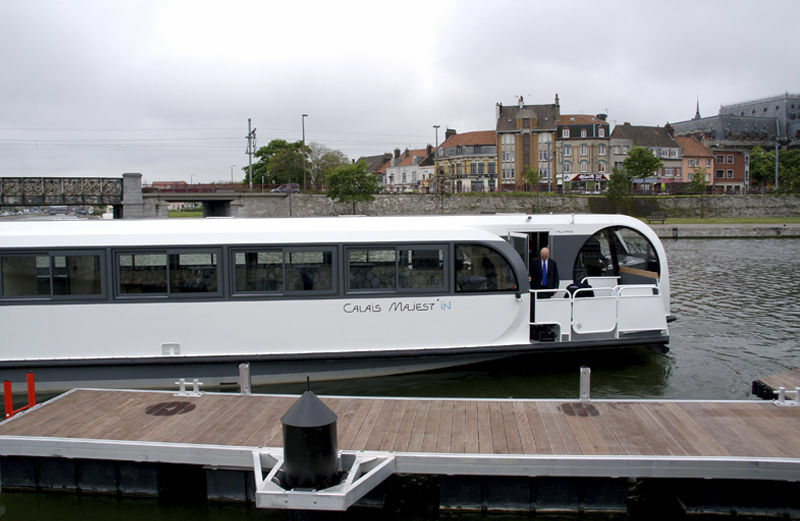 The propulsion consists of a 125 HP engine, which will give an average speed of 12 knots. 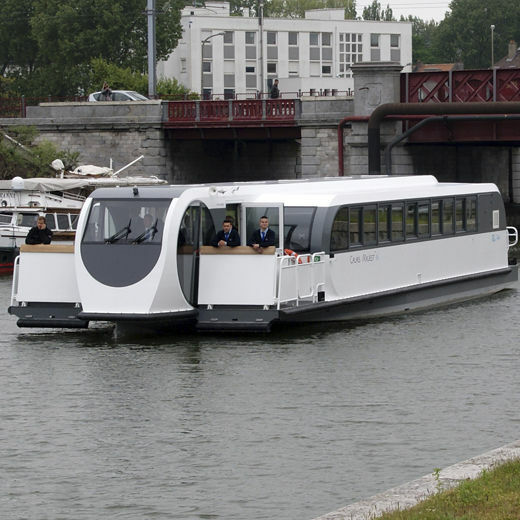 Developed by the Stirling Design International design office, the futuristic style of this waterways shuttle boat has been inspired by the most advanced train/tramway projects. The main assets of the vessel lie with the boarding ramps on the bow, which perfectly conform to the applicable accessibility standards and with the simplified berthing facilities that shorten the time and reduce the fuel consumption during the manoeuvring. Les choix liés à la propulsion et au système de direction permettent au bateau d’être très manœuvrant. En plus du moteur de 125 cv, le bateau est équipé d’un propulseur d’étrave hydraulique à la fois robuste et efficace qui facilite considérablement les manœuvres. A l’aide d’un joystick, le pilote accoste facilement et rapidement.